opening wide onto the vast garden. 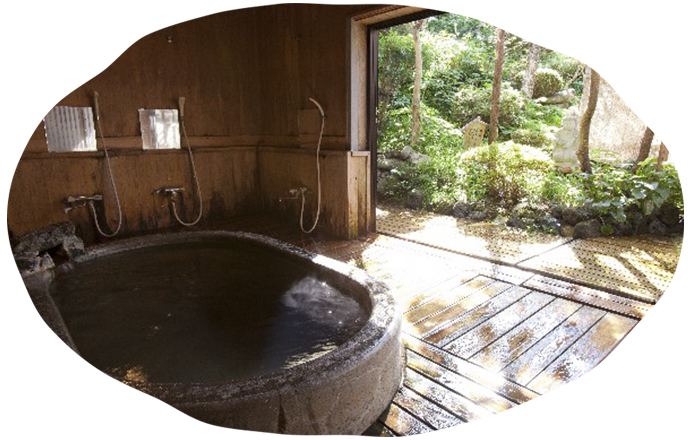 The inn has two baths—one an open-air bath—which switch between male and female use every hour from 4:00 to 7:00 pm. At other times, you can use the baths in privacy as many times as you like. Guests are free to enter any unoccupied bath, hang out the “Occupied” sign, and lock the door to bath in peace and privacy.